Gustbuster Sunblock UV Sun Umbrellas offer protection from the Sun by blocking 96% of the Sun's harmful UV Rays. The dangers of the Sun's rays are well documented and this outdoor umbrella is perfect for any outdoor activity. Having a shade umbrella means less reliance on chemical Sunscreens which many are sensitive to- particularly on the face. And, when a sunny day turns rainy, your UV Umbrella will keep you dry! In addition to blocking the suns harmful rays, the Gustbuster UV umbrella cools the temperature underneath it up to 10 degrees! You can really feel the difference under a Sunblock Umbrella! These Sun Umbrellas are built to Gustbuster's exacting standards and are backed by a lifetime warranty. 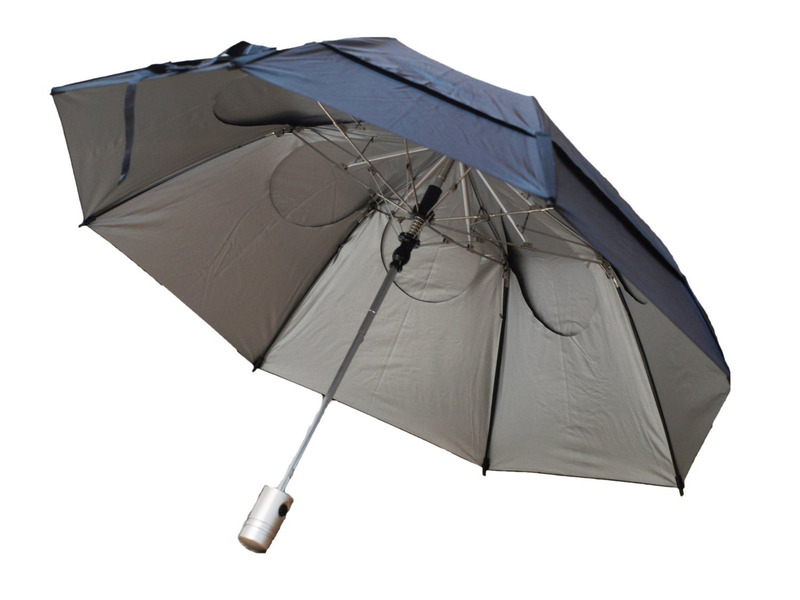 The patented 190 thread-per-inch, double canopy design coupled with the reenforced joints and frame make it the strongest umbrella we could find! Whether Sun, Wind, or Rain the Gustbuster Sunblock UV Sun Umbrella has got you covered! This listing is for the 43" Arc Canopy Metro Collapsible UV umbrella. The canopy is black on the outside, while the silver underside blocks virtually all of the Sun's invisible rays. It weighs just 17 ounces and collapses to a 15" length and includes a sleeve that doubles as a tote bag with strap. Scroll down to see our larger canopy golf sun umbrellas listing. Save even more when you buy 3 or more Gustbuster umbrellas!